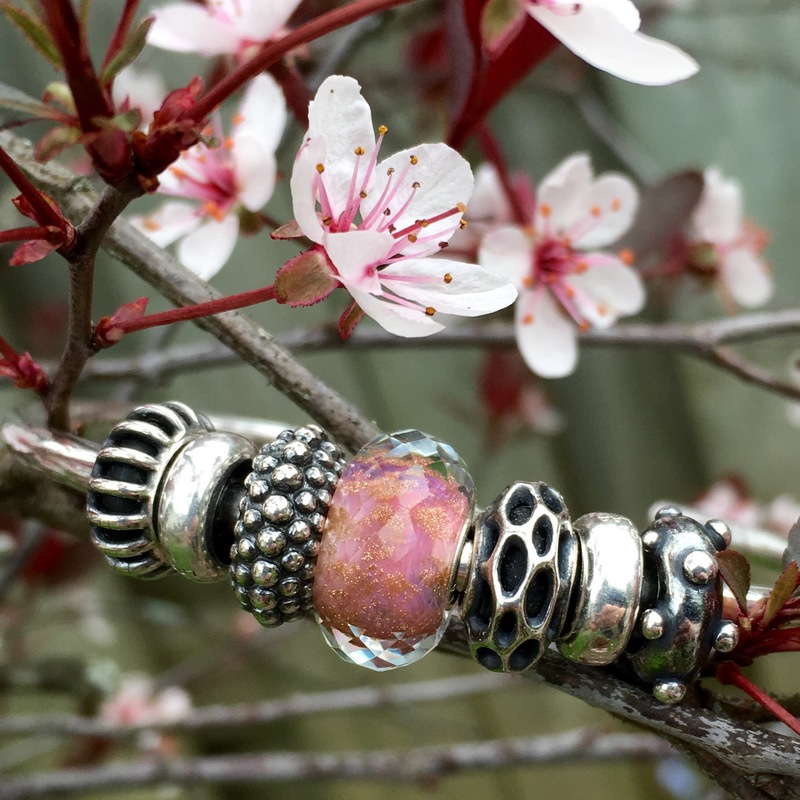 The new Trollbeads Spacers are available to purchase starting today and although I’ve already shown a bunch of pictures of them, I thought I’d make a few new ones. I think the stars of the set are the Bumblebee and Beehive. I’ve been enjoying them on the Ring of Change, but they also work well on a Fantasy Necklace, bangle or chain bracelet. Kim Buck designed four of the spacers, Sunbeam, Sweet Berries, Beehive and Connected Love. Mette Saabye designed Heart, Søren Nielsen designed Dot’n’Dot and Kristian Krysfeldt designed Bumblebee. 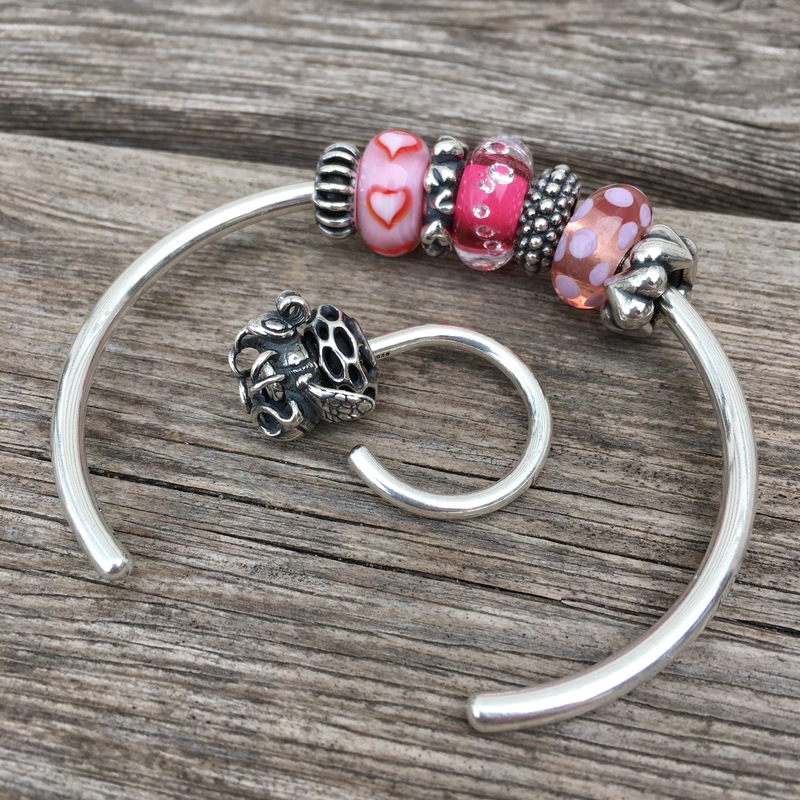 The spacers on the bangle shown below are Sunbeam, Heart, Sweet Berries and Connected Love. Here’s the bangle with the Bleeding Hearts in my garden. I when I say garden, it really isn’t much and is very weedy-but the flowers look good in close ups. Here they are all together. I do like the look of just one on a chain. Here are the prices in Canadian dollars. The top row is Sweet Berries ($53 CDN), Beehive ($53 CDN) and Bumblebee ($72 CDN). Middle row is Connected Love ($72 CDN) and Dot’n’Dot ($36 CDN). Bottom row is Sunbeam ($36 CDN) and Heart ($64 CDN). Finally, here’s a picture that really shows the size of the Bumblebee spacer. I realize that it is not inexpensive, but it is definitely not the size of a regular stopper. I’d love to hear if anyone is planning to get any! And can’t wait to see some photos on Instagram! Thanks Marloes! Oh, the hearts for your pink bracelets would be lovely! These are some of the most beautiful photos Martha. I keep scrolling up and down looking at them. I like the Bee, of course, and Sweet Berries as well as the Hive. 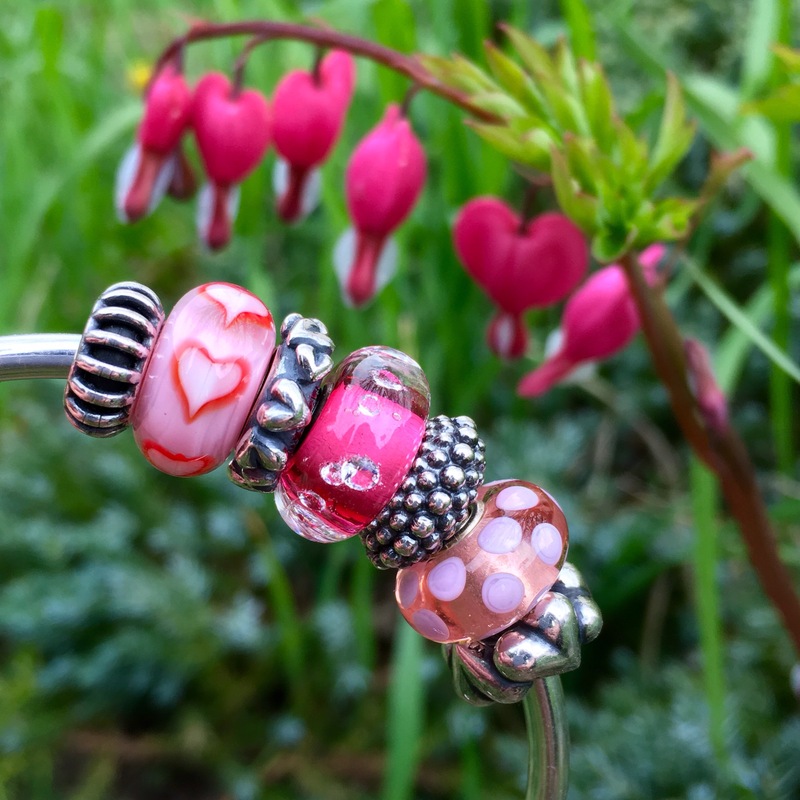 Trollbeads silver beads are very expensive so I won’t be buying many of them but, I think I will get two BumbleBees because what a perfect compliment to my Trollbeads Flower glass pieces! Thanks again for your inspirational photos. Thanks Sarah! A couple of Bumblebees for your flower beads would be lovely. Just need that bangle to arrive! I don’t know what’s up with Canada Post. It has taken over a week for some bead mail to go from Seattle to Vancouver for me! That’s odd, for sure! I am trying to resist buying them from Perlen because, well, you know. 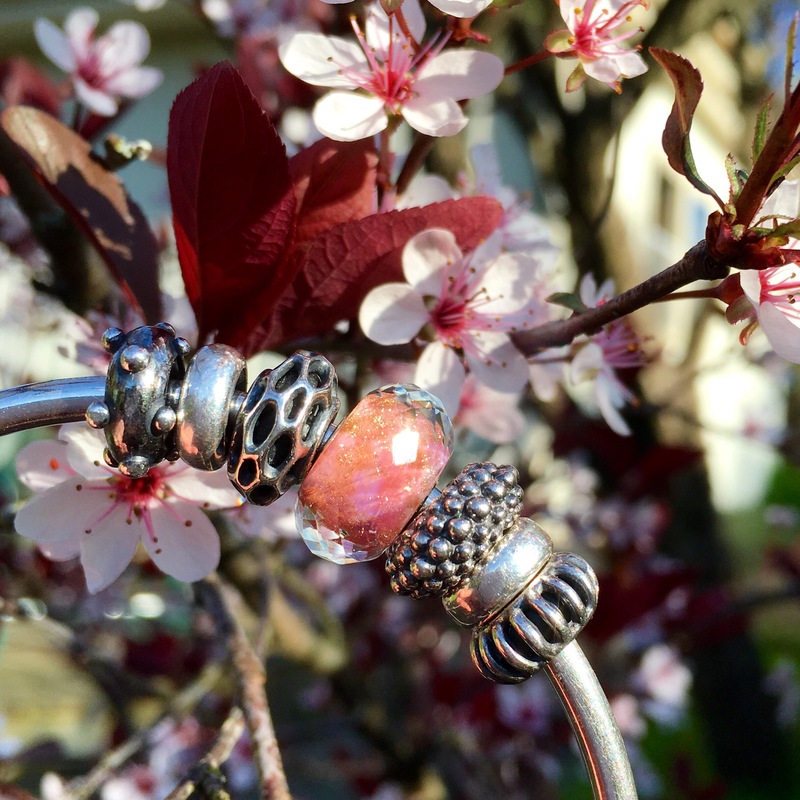 I may just get my Trollbeads dealer in Brampton to mail them to me and see how long that takes! I’m planning to buy bumblebee, beehive and sunbeam spacers, but just when I go to USA… Too expensive with brazilian taxes! Beautiful pictures, love cheerry trees!!! Thanks Carla! Yes, you should definitely wait for your trip. I can only imagine how long your wish list is going to be for your visit to the States! Beautiful photos Martha of your bracelets and flowers! ❤ I just like the Bumblebee, I may get 1 down the road if there is a good sale on Troll. 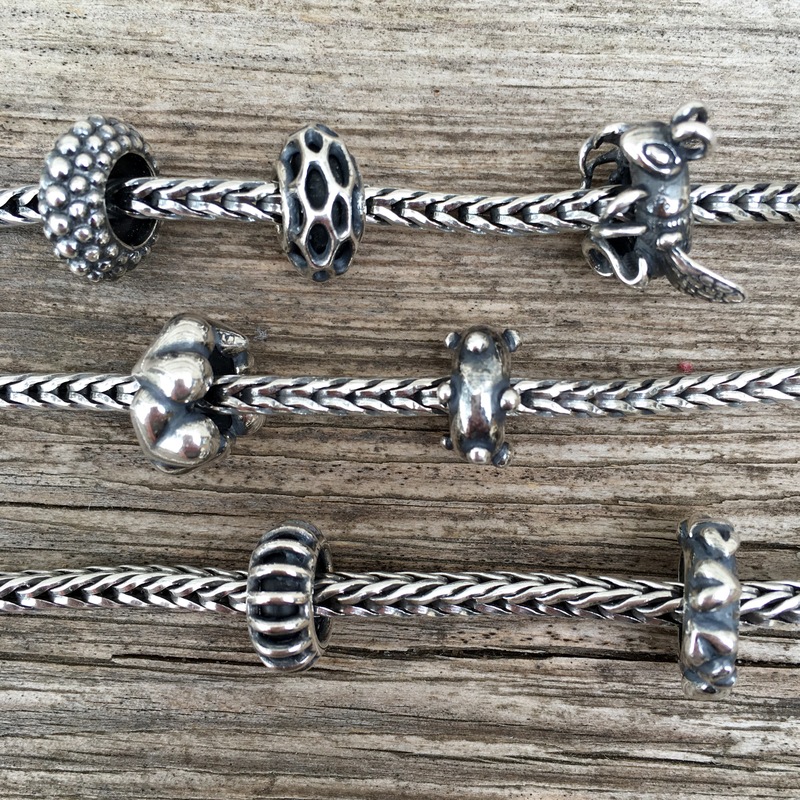 Probably would use it more as a bead than a stopper, I wore my Troll Spider for the first time yesterday and love it, I'd like the Bumblebee to go with that and my Pandora silver ladybug. Thanks Natalie. I shall have to look up the Pandora silver ladybug, as I can’t picture it. Sounds like those would make a cute bracelet together! Thanks Natalie, that’s really cute! 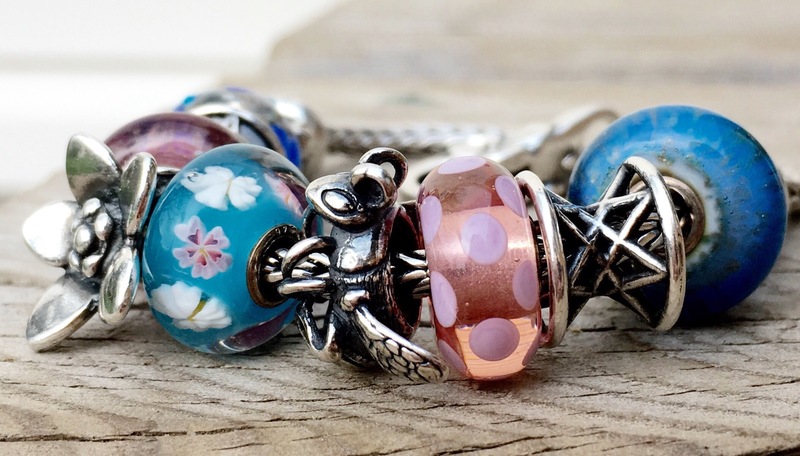 The new stoppers look so lovely on your bracelets! I would love to pick up several of these including Sunbeam, Sweet Berries, and Connected Love. I was a bit shocked when I saw the prices, but these beads are far more intricate and quite a bit larger than the plain stoppers. I can’t wait to see them at the Concept Store! I also just adore your Pink Delight Facet! I’m so glad that I was able to pick one up as well! Such a beautiful bead with incredible variation! Yay! Glad you like Instagram already! I like all of the stoppers, and eventually will get pairs of most of them. Hopefully starting this year!!! I got 3 Dot n Dot 20% off Can $95 from Hong Kong concept store. I don’t wear insect so Bumble and Beehive are not for me. Pandora provide ton of heart design so I don’t need Trollbeaf heart. I like Dot n Dot is simple and clean look, I like it over Sunbeam and Berry. That must have been so much fun to go to all those Trollbeads stores!